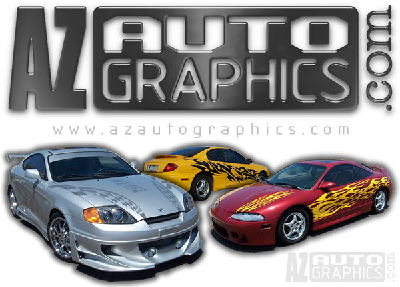 Welcome to Az Auto Graphics site, We are an Internet & Mail order company only. We do not have a store front but we do offer mobile and on site installation service. Specializing in custom vinyl graphics, since 2000. We have worked hard to earn an exceptional reputation from our unique designs and customer satisfaction. We are committed to building long term relationships and pride ourselves in the customer referrals we receive.